The George will mark you out as a man of impeccable style. 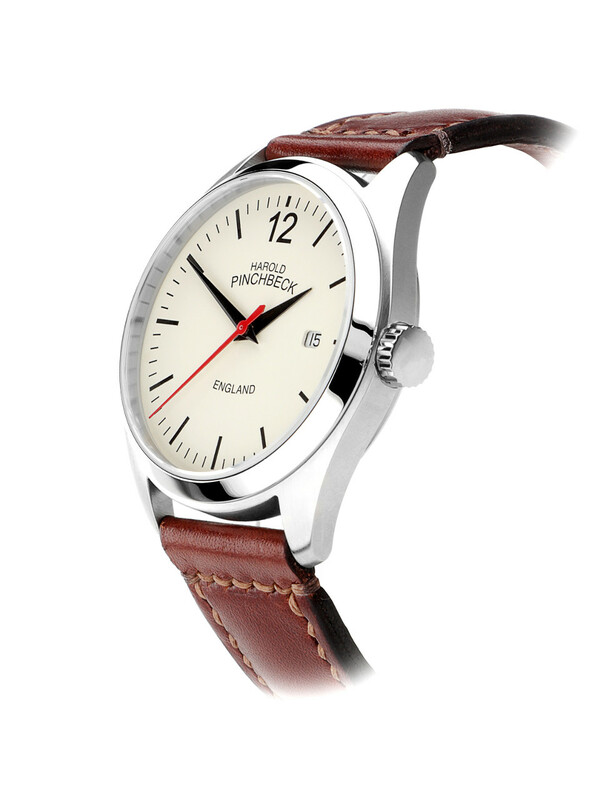 Not only will it tell the time: it will tell the world of your understated good taste! 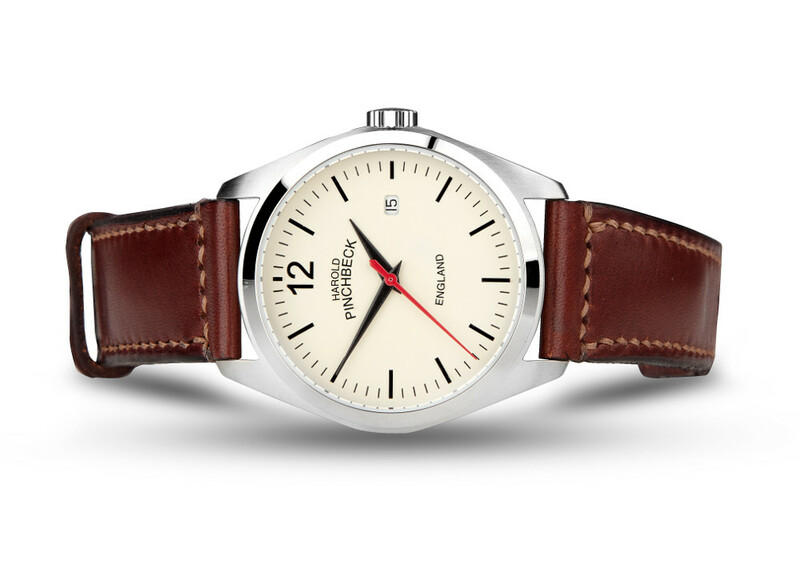 The 36mm George is a classic size for a gentleman’s watch, not large by the standards of modern fashion. 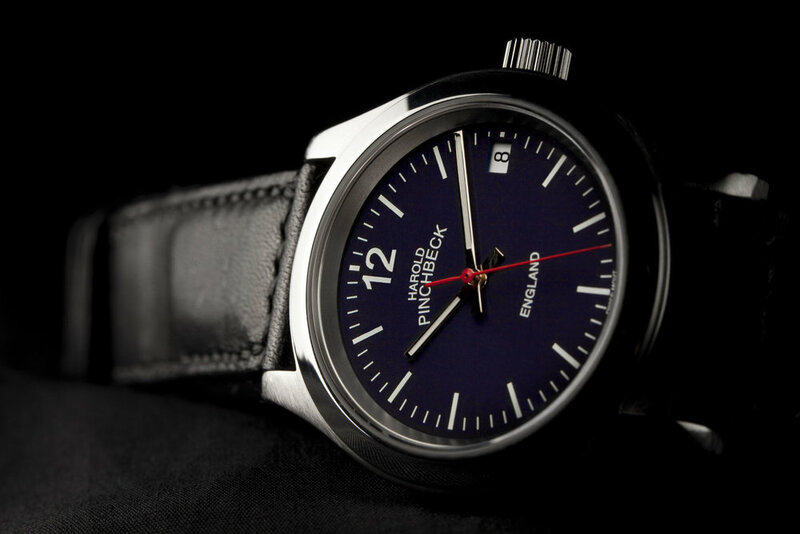 The sinuous, reflective curves of its highly polished stainless steel case impart a subtle charm; like all fine watches, there is sapphire glass for scratch resistance and a screw-down crown to deter moisture. 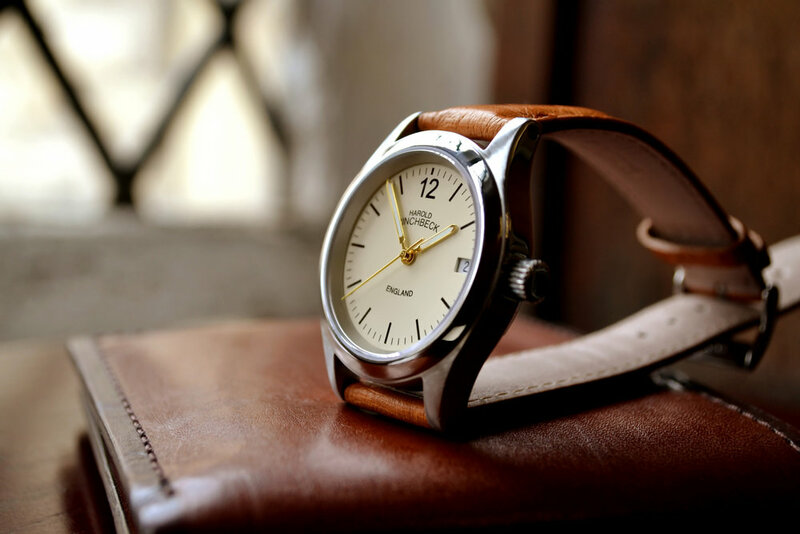 An extra touch of luxury comes in the form of the beautiful leather strap and the presentation wallet, both handcrafted in Devon by Tanner Bates. The George really is the perfect present! 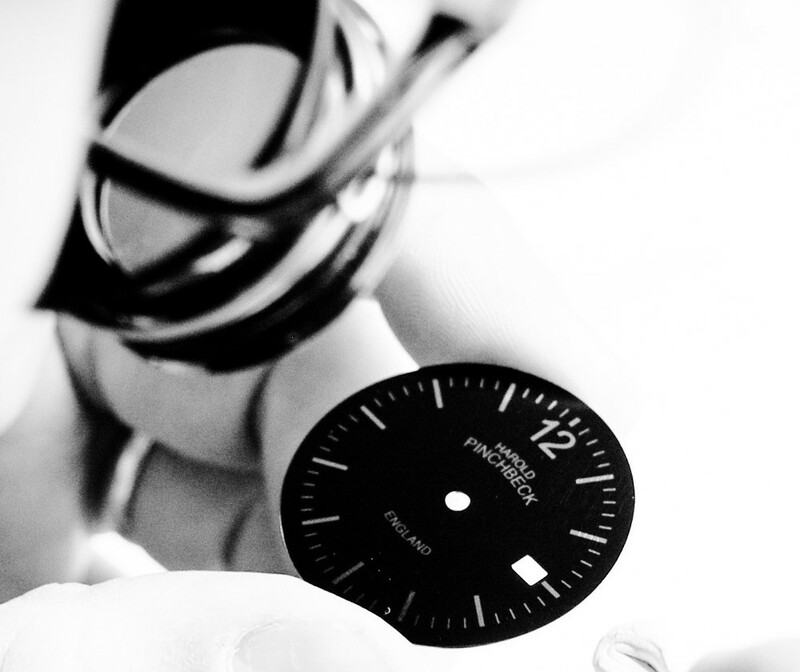 The George is powered by one of the world’s most respected Swiss-made mechanical movements, the superb ETA 2824-2. Its design and meticulous engineering have been proved and refined over several decades, and it is respected by good watchmakers everywhere. Kept wound by wrist movement, it can also be hand wound. From £1,249 (reduced from £1,399).